Inheriting rental property might seem like a great blessing at first, but things don’t always go well for folks in this situation. As a company that buys houses and invests in real estate in OKC, we can tell you that rental property is an amazing way to retire, make some extra side money, or add to your retirement. 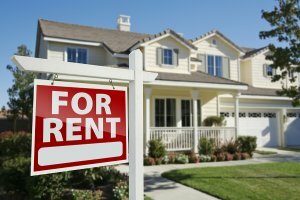 Sure it comes with some downsides, but if at all possible, you should figure out how to KEEP your inherited rental property and make it work. That being said, we wanted to share with you 5 tips on inheriting rental property in OKC. We’ve done business with dozens of folks who inherited rental property in the past and put together these 5 tips to help you make the most of your inheritance…. Tip #1 – Learn the basics of tenant screening, evictions, leases, and state laws, etc. To properly manage and actually make money off rental property, you have to know the basics. Tenant screening is one example. You need to do a background check, credit check, and reference check on every tenant. If you lease a home to the first person with cash in hand, you will quickly find out there is a reason this person wanted to give you cash today and avoid the application/screening process. No one wants to go through evictions but as a landlord you need to know how the process works and what the local eviction laws are. You also need to read and understand the default state of Oklahoma lease and what additions you can make to it. The laws regarding leasing a property to someone else are different in every state. Make sure you read up on what you can do, what your tenant can do, and how you can advertise your property legally. If you have questions on how to do any of these basics, call or text us at 405-673-4901. We see this one a lot. Someone is inheriting rental property in OKC that just happens to be owned free and clear. What do they do? Go to a bank and take out a loan against the property. They walk out with $40,000 in cash but 12 months down the road, the house has been tore to pieces by bad tenants, needs $15,000 in repairs, and is worth less than what they owe the bank. That $40,000? Spent already. Don’t do this!!! It seems tempting to go get some easy money but unless you plan ahead and properly manage the rental property, you will end up in foreclosure, under lots of debt, or with a mortgage payment on a house worth a lot less that you can’t rent. If you really need cash now, call us at 405-673-4901….we’ll buy the property from you as-is and you can walk away with the cash you want without a mortgage or rental property to worry about. Let’s say you rent a house for $1,000. Your tenant sends you a check for $1,000 every month, but do you really profit the full $1,000? The answer is no. You have to pay taxes, insurance, any mortgage payments, repairs, and vacancies. Taxes might be $75/month and insurance another $75/month meaning you only bring home $850. Repairs are inevitable. They WILL happen. Over the course of a house’s lifetime, you will spend about 10% of your rent in repairs. AC unit goes out? $3k….Paint? $500….New carpet? $2500…..Broken windows? $250…..New Roof? $1,500 deductible. These repairs don’t happen all at once but over time you will deal with lots of repairs. Taking out 10% each month for repairs leaves you with $750/month in NET cash flow. You also have vacancies. 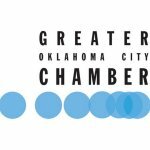 A safe estimate for vacancy rates in OKC is 8%. 8% of your rent each month makes up for future vacancies leaving you with $670/month in the end. That means when you get a check for $1,000 in your mail box from your tenant, it really only equals $670/month ($75 insurance, $75 taxes, $100 repairs, $80 vacancy). If you aren’t preparing for those costs, you are setting yourself up to fail in the long run. We factor in all of these costs in our rental properties so there are no surprises. One big mistake we see people make when inheriting rental property in OKC is to fail to treat it like a business. A classic example of this is letting tenants lead you on after missing their rent one month. They miss a payment, they promise to catch up in 2 weeks, it never happens, and now you have to make a tough choice. Kick a family out through eviction OR be the nice guy and give them a second chance. It gets even worse when family is renting from family. At the end of the day, owning rental property is a business first and foremost. You can be nice to folks and help people out but you have to learn to drawn the lines somewhere. If someone is late on rent, give them an extension with a late fee. If they don’t pay by then, evict them. If someone REALLY needs a place to rent tomorrow, you can be their savior, AFTER they fill out your application and meet your criteria. Don’t be afraid to be stern and protect your time and investment. Everyone loves getting money in their mailbox from rental properties. Not everyone loves dealing with the crap that comes with rental properties: tenants, evictions, work, repairs, etc. Investing in real estate is what we do at W Properties. We can offer to buy your house straight up for cash. Or, we can buy your house under our Perfect Tenant program. In this program, you get top dollar for your home AND you still get monthly checks in your mailbox without all the hassles of owning rental property. If you are curious how this works, call or text us at 405-673-4901. If you are inheriting rental property in OKC and have questions about how to manage it, what do to, or where to start, just call or text us 405-673-4901. We don’t mind helping you out and love talking about real estate. We’ve managed lots of property over the years and a simple 5-minute phone call can probably save you thousands of dollars and headaches. On the other hand, if you want to sell your rental property, we are always looking for new homes to buy. We can work you up a fair offer in just a day or two. Fill out the form below to get in touch with us about inheriting rental property in OKC when you want to sell….